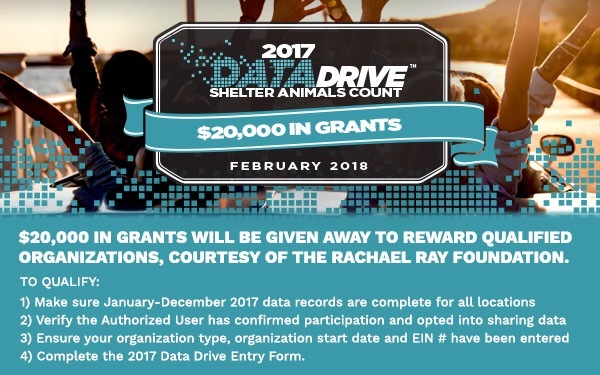 Update your data and learn what you have to do to qualify on Shelter Animals Count’s website. Deadline is February 28, 2018. New registrants can also qualify!